Last week, the Vatican announced that Pope Francis had changed the Catholic catechism. After 2,000 years of teaching that a moral use of capital punishment for murder is consistent with Catholic teaching, the pope announced that the catechism, the church fathers and St. Thomas Aquinas, among the other great Catholic theologians, were all wrong. And God and the Bible? They're wrong, too. Pope Francis, the product of Latin American liberation theology -- along with many other Catholic religious and lay leaders -- is remaking Catholicism in the image of leftism, just as mainstream Protestant leaders have been rendering much of mainstream Protestantism a branch of leftism, and non-Orthodox Jewish clergy and lay leaders have been rendering most non-Orthodox synagogues and lay institutions left-wing organizations. The notion that it is immoral to execute any murderer -- no matter how heinous the murder, no matter how many innocents he has murdered, no matter how incontrovertible the proof of guilt -- is an expression of emotion, not of reason or natural law or Christian theology or biblical theology. Regarding the latter, the biblical commandment to put premeditated murderers to death is unique. First, it is fundamental to biblical morality. The injunction of putting murderers to death is the only law found in each one of the first five books of the Bible (the Torah). Second, all other sins involving the death penalty were only applicable to Jews (and for thousands of years, Jews regarded those death penalties not as literal but as pedagogic -- to teach the seriousness of various offenses in an attempt to create a moral and holy nation). But the Bible makes it clear capital punishment for murder is applicable to all of humanity. It is the first law God gives Noah after the flood, after commanding him to be fruitful and multiply. Putting murderers to death is therefore the first moral law God gives the world. Why this draconian penalty for murder? Because the penalty is a statement about the seriousness of a crime, and the God of the Bible deems the wrongful, deliberate taking of a human life the pinnacle of injustice. Allowing all murderers to keep their own lives diminishes the evil of murder and thereby cheapens the worth of the human being. In God's words, "Whoever sheds the blood of man, by man shall his blood be shed, for God made man in his own image" (Genesis 9:6). It is precisely to preserve the unique worth of the human being that the Bible mandates putting murderers to death. 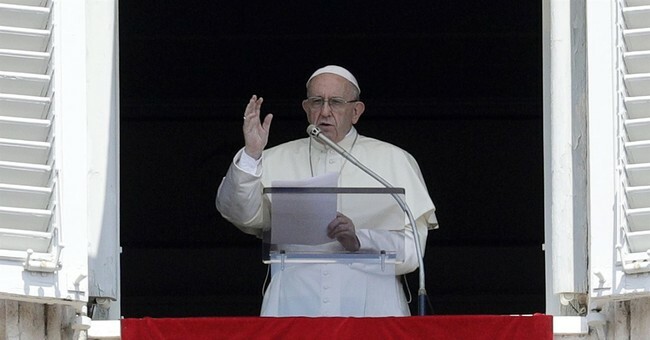 In 2015, Pope Francis wrote, "today capital punishment is unacceptable, however serious the condemned's crime may have been." Unacceptable? To whom? It is acceptable to about half of American Catholics and about half of the American people. But it is unacceptable to the elites of our time, the people who have the most contempt for Catholicism and every other Bible-based religion. The Pope also writes that no matter how serious the crime that has been committed, "the death penalty is inadmissible because it is an attack on the inviolability and dignity of the person." Most of us think it is the murderer, by committing murder, who has attacked his dignity and inviolability, not the society that puts him to death. We also think it is the dignity of the murder victim that is attacked by rewarding the murderer with room and board, TV, books, exercise rooms and visits from family members and girlfriends. Furthermore, why isn't keeping a murderer in prison one day longer than is necessary to protect society an "attack on the inviolability and dignity of the person"? For that matter, isn't every punishment an attack on the dignity of the punished? Of course it is, which is why progressives ultimately oppose all punishment, equating it with vengeance. In the middle of the night on July 23, 2007, two men entered the Cheshire, Connecticut, home of Dr. William Petit Jr. and his family. They nearly beat Dr. Petit to death with a baseball bat. Then, one of the men raped his wife, Jennifer Hawke-Petit, and the other man sexually assaulted her 11-year-old daughter, Michaela -- an assault he photographed with his cellphone. Dr. Petit managed to escape, but Hawke-Petit was strangled to death; Michaela and Hawke-Petit's other daughter, Hayley, were tied to their beds; and the house was doused with gasoline and set on fire. In a 4-3 decision, the Connecticut Supreme Court ruled that capital punishment violated the Connecticut Constitution, thereby preventing the execution of the murderers and assaulters of Dr. Petit's family. This was Dr. Petit's reaction: "I think when people willfully, wantingly, without any remorse take someone else's life, they forfeit their right to be among us." For those who believe in the Bible, Dr. William Petit of Cheshire, Connecticut, echoes God's view. Pope Francis of the Vatican does not.